Over 25,600 lives were lost on the road in the European Union in 2016, of those a large proportion were victims of work-related road (WRR) collisions. 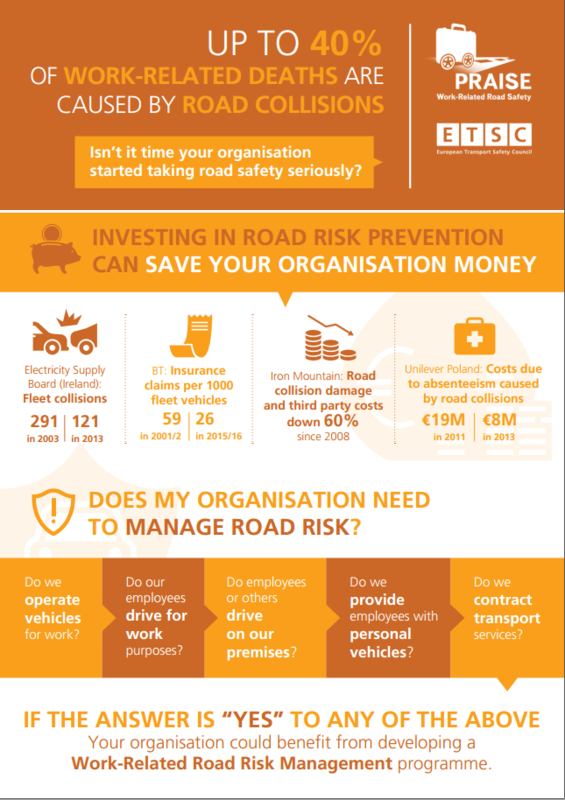 Even though the exact number is unknown, it is likely that up to 40% of all road deaths are work-related. Gaining a full and detailed picture of WRR collisions in the EU is very challenging due to differing definitions, variety of data sources, a lack of linkages between data sources and underreporting. France, Switzerland, Spain, Italy, Ireland and Germany performed best in data collection and reporting of work-related road (WRR) deaths compared to the other PIN countries. While there is an EU definition of a work-related road (WRR) death in the Occupational Safety and Health (OSH) field, there is no common EU definition of a WRR death in the field of road safety. The introduction of a common EU definition of a WRR death in the road safety field would contribute to recognising WRR casualties as a road safety issue and would aid member states in collecting standardised and comparable WRR death data. Police reports are a key data source for road collisions. In France, Greece, Ireland, Italy, Luxembourg, Spain, Switzerland, Serbia, Norway and the UK, police collision registration reports include a field indicating the purpose of the journey to capture the details of WRR collisions. In the other 16 PIN countries covered in this report, police reports do not include the purpose of the journey field, leaving the country with no information on the characteristics of WRR collisions. All countries should include the purpose of journey as a field in police reports with an option to choose the purpose of travelling as ‘part of work’ and ‘commuting’. In 16 out of 26 countries, legislation obliges employers to notify WRR collisions to responsible authorities. Employer reporting helps to identify where and how risks arise, enables investigations to take place when appropriate and to show trends of WRR deaths and injuries. But employer reporting requirements differ from country to country. Data on WRR deaths that rely only on employer reporting may substantially underestimate the true level of WRR deaths. Data reported by employers could be complemented if linked and cross-checked with other data sources, such as police reports indicating the purpose of journey. Road safety and OSH authorities should collaborate to improve WRR death data collection. Regular data collection is essential to help decision makers identify areas for priority actions and to evaluate the results of policy interventions. Duty of care, occupational safety and health (OSH) and road safety compliance are legal necessities in all EU member states, and employers must take them into consideration. The most important piece of legislation in the EU addressing OSH is Directive 89/391/EEC on occupational safety and health. The Directive lays down general principles concerning prevention, assessment and elimination of risks and accident factors, protection of safety and health, access to information, consultation and balanced participation and training of workers and their representatives. The Directive requires every employer in the EU to undertake a work-related risk assessment according to the principles of prevention. Even though WRRS is not specifically mentioned in the Directive, it is a part of all the work-related risks that employees face and create for others. Therefore, it ought to be covered in employee risk assessments, but in practice this might not always be the case. The principles of the Directive 89/391/EEC on work-related risk assessment can be implemented more efficiently if a government provides guidance focused on the employer’s obligations to manage risks associated with travelling for work. 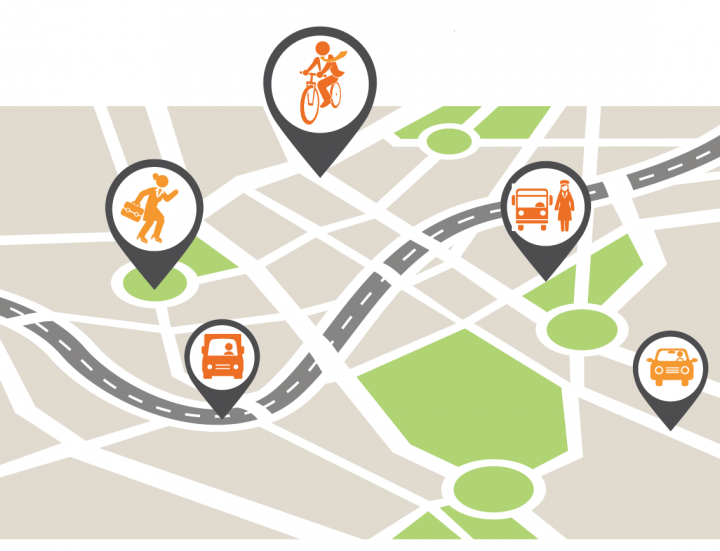 Within this framework, 11 out of 26 PIN countries encourage employers to take action on work-related road safety through different initiatives, including promotion and dissemination of guidance, leaflets, prevention campaigns and partnerships between the government, employers and employees. In the majority of the PIN countries employers can be held legally responsible if their employees are involved in a work-related road collision. France and Finland are the only PIN countries where laws mandating alcohol interlocks in specified vehicles driven by professional drivers have been introduced. In Finland alcohol interlocks are mandatory in school buses. In France alcohol interlocks are mandatory on all coaches used for public transport. A major risk factor affecting HGV and passenger transport vehicle drivers is fatigue. Research shows that driver fatigue is a significant factor in approximately 20% of collisions involving commercial vehicles. In many cases fatigue-related collisions have very severe consequences. The Regulation 561/2006/EC provides a common set of EU rules for maximum daily and weekly driving times, as well as daily and weekly minimum rest periods for all drivers of road haulage and passenger transport vehicles. The regulation covers road haulage and passenger transport drivers but does not apply to vans below 3.5 tonnes. As a rule of thumb, no driver should be required to drive continuously for more than two hours without at least a 15-minute break. Breaks and break locations should be planned in advance of starting journeys. For 23 countries, PIN panellists were able to confirm that their countries have designated enforcement or police officers trained to detect tachograph fraud. In several European countries some public authorities have started to show leadership in addressing WRRS for their employees. 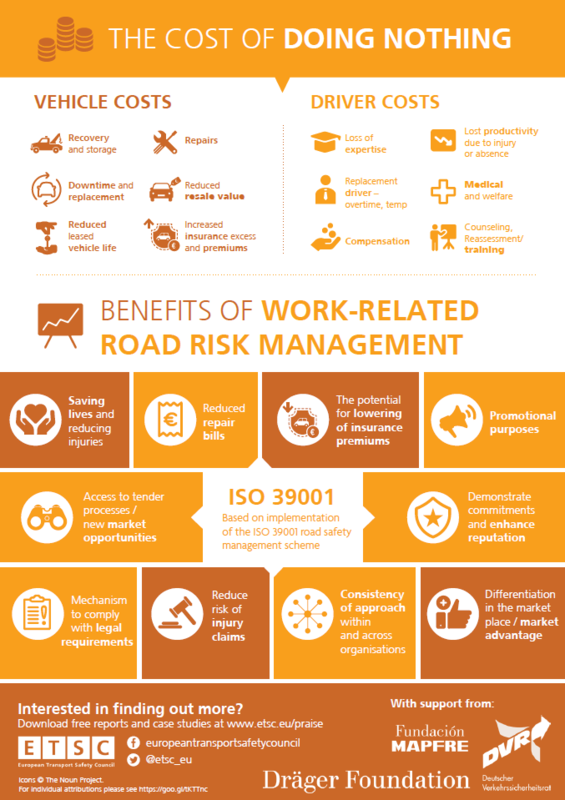 Some influence the demand for WRRS by setting road safety requirements through public procurement policies. Some public authorities in Belgium, Cyprus, Germany, Estonia, Finland, France, Ireland, Poland, Sweden, Slovenia, the UK, Israel and Norway extend their own agencies’ policy on safer vehicles when setting requirements for contractors. Overall, there are no harmonised strategies on leadership by public authorities in addressing WRRS at national level in the PIN countries. WRRS initiatives come from individual public authorities.